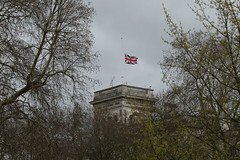 For the third time in as many months, the Union Jack above the Foreign Office and flags at diplomatic missions around London were flown at half mast this week to honour the victims of the terrorist attack on London Bridge and Borough Market. On Tuesday, embassy meeting rooms fell silent at 11am out of respect for the eight victims killed in the attacks, some of whom were foreign nationals, as well as those who were injured. At the Canadian High Commission, the mission’s staff and fellow Canadians gathered in silent tribute to Christine Archibald, the Canadian social worker who died in her fiancé’s arms. It was a brief pause in what has been a highly stressful period for missions, particularly consuls, who have had to respond swiftly to provide information to concerned relatives and consular assistance to their nationals. Social media has proved to be a very useful tool in the consular response. As events were unfolding on Saturday evening, duty officers at London’s diplomatic missions were quick to deploy social media to warn their nationals about the attack, in their own languages, urging them to avoid the area and to share the information with their friends and followers. Their alerts were retweeted widely, in some cases as many as 2.5k times. The Met Police’s ‘Run, Hide Tell’ advice was also shared promptly when it was uncertain whether a further incident in Vauxhall was part of a coordinated attack. As soon as the Casualty Bureau was opened, the emergency number was posted on embassy Twitter and Facebook channels in addition to their own emergency numbers, so that concerned family members were able to report information about missing relatives. Consuls also urged their nationals to update their status on social media to let their family and friends know they were safe, which may have helped to reduce the volume of calls to the missions’ emergency number. In the first 24 hours of the incident, the Casualty Bureau received more than 3,000 calls. Follow-up enquiries to Casualty Bureau, including by diplomatic missions, have been discouraged – despite pressures from family members or capitals for more information. However, contacting the Casualty Bureau to inform them if a missing relative had been found safe will help the Met Police keep an accurate picture of anyone still missing. Missions are reminded that the Casualty Bureau only receives and assesses information about persons who may be involved in an incident and is not an enquiry line. Missions (and family members) will only be notified if information given to the Casualty Bureau matches evidence gathered at the scene and a victim is formally identified. A police Family Liaison Officer is then appointed to the case. Canadian Consul General Lisa Almond praised the Family Liaison Officer appointed to assist in their tragic case: “The Family Liaison Officer assigned was absolutely incredible, very helpful and communicative,” she told Embassy. Missions also used social media in the aftermath of the attacks to bring communities together and to post information about vigils and online condolence books for the victims. Heads of mission used social media to voice their revulsion at the attacks and their countries’ solidarity with Britain. But social media has its downsides in a crisis when uncorroborated information or images of potential victims are shared. Missions are urged to treat such information with caution and to rely on official communications, such as those via Project Hermes, which is an initiative run by Parliamentary and Diplomatic Protection and supported by the FCO. Project Hermes was set up after the 7/7 bombings to notify missions with up-to-date and accurate information during a serious incident. Speaking at the Embassy Management Conference earlier in March, Inspector Simon Fox said it was vital that PaDP and the FCO Protocol Directorate had up-to-date contact details of the mission’s Single Point of Contact (SPOC). After the Manchester attacks, the threat level was raised briefly to its highest level – critical (meaning an attack is expected imminently) – but the level remains at the second highest level – ‘severe’, meaning further attacks are “highly likely”. It is therefore important that the FCO and PaDP are able to reach missions in the event of another serious incident.